This is my submission for #7DFPS 2018! 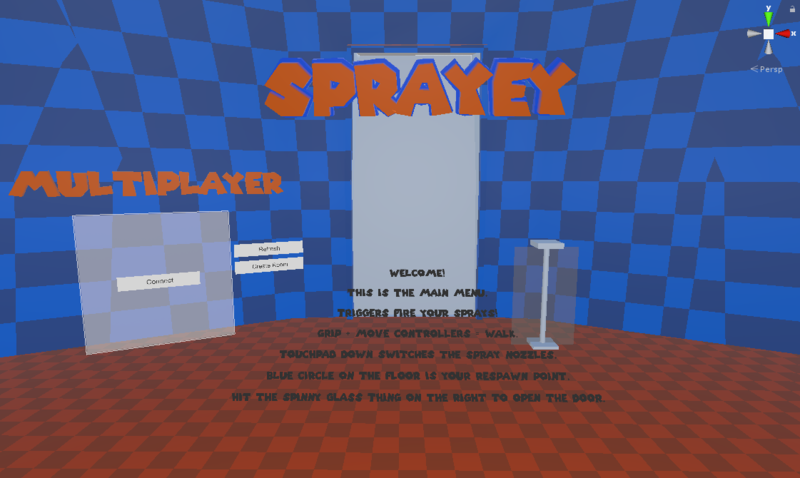 Use your spray guns with different nozzles to blast your way through 13 obstacle course levels! I only managed to set up Knuckles and Vive wands, but any other controllers will easily be able to use the rebinding system to work with it. I kinda ran out of level design time near the end so there's 1 or 2 levels in there I ripped from my other game, Climbey. Forgive me.